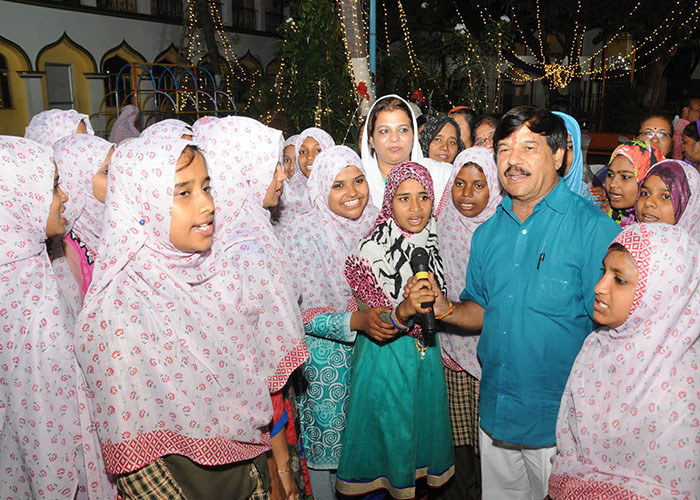 Mysuru: MLA S.A. Ramdas seen amidst children of Muslim Girls Orphanage on Ashoka Road in city. Every year, he makes it a point to visit the 112-year-old Orphanage along with his supporters and take part in Ramzan celebrations. 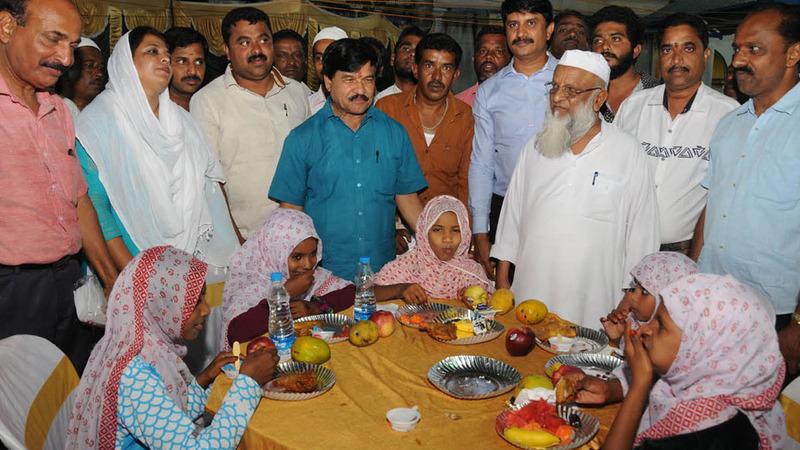 Before having meal with the children, Ramdas, who is also the Founder of ‘Amma Mane,’ a residential home for children, distributed chocolates, fruits and ice-creams to Orphanage children. Picture above shows Ramdas singing “Nadageethe” with the children.